Anyway, I would like to share my DT Whimsie Doodles make. It's a very, very girly card from me today! This sweet image is called Treat Lizzie. Have you seen the size of the cupcake she is holding?! I would love one of those, I love cupcakes! 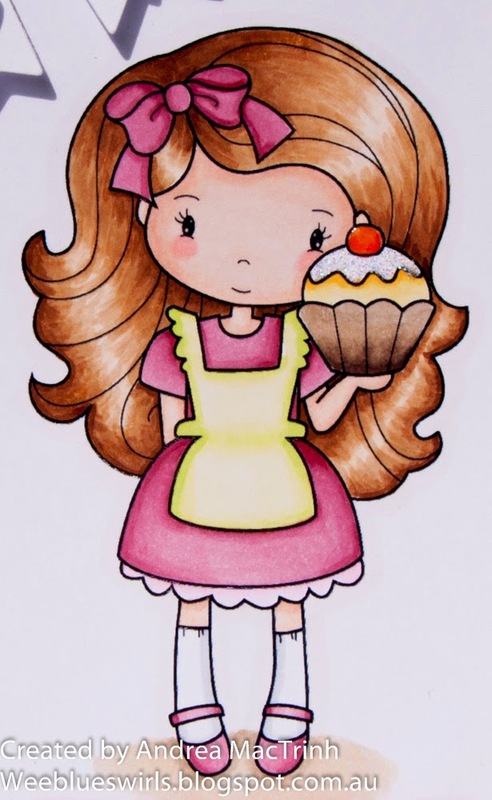 I coloured Lizzie with copics and added some glitter and glossy accents to the cupcake. These sweet papers are from Nitwits One Birdie Lane collection. I'm loving this colours and will definitely be using them again. Here is a close up of the image. You can see the crystal glitter I added to the icing and the glossy accents on the cherry a little bit better. Thanks for stopping by and for your comments - always appreciated. Hope to see you again soon, have a great day. Oh, this is such a darling card! Beautiful coloring, and I love how you played with the patterned papers! Thanks so much for playing along with us this week at ATSM! She is so cute, just want to squeeze her cheeks! 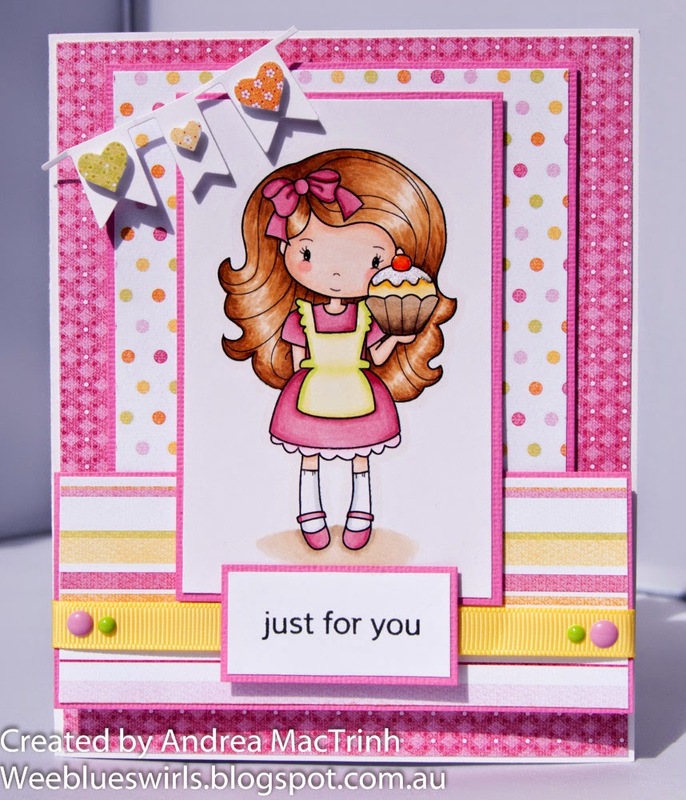 You have brought her to life beautifully with your colouring and such a wonderful colour combo for the card. Very glad you joined us at ATSM this week!! And I bet you had an amazing time on her holiday you lucky thing!! !